Last saturday I was in Utrecht. Of course I had to visit some bookshops! 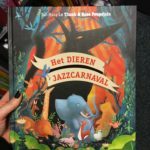 In one of the bookshops I found a cool picturebook with the Dutch titel ‘Het Dieren Jazzcarnaval’. 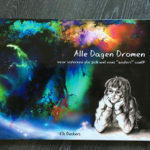 This book is written by Taï-Marc le Thanh and Rose Poupelain.